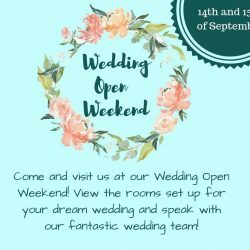 Join us Friday 14th September between 12-8pm and Saturday 15th September between 10-8pm for a wedding open weekend at Hotel St. Pierre Wakefield. We will be working alongside the hotel as preferred suppliers. 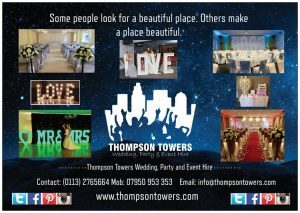 We will be dressing the rooms to showcase them at their best and to show you how you could have your dream wedding. Come along and speak to the expert weddings team. We will be around at various times throughout the day to discuss your wedding enquiries. This is truly a magical venue, we should know as we got married here too! Entry is free & special offers will be made on bookings taken throughout the day! ← ‘I DO’ Wedding Awards 2018 – Vote For Us!